The legal market always reflects the economy and indicates its developments – both growth and recession. From an economic perspective, the high risks in the country resulted in a drop in investments and subsequent exits from Ukraine. No wonder, then, that the volume of transactional practices has dropped. M&A activity is rather slow, and many parties pursuing deals prefer to keep those deals undisclosed. Indeed, Ukrainian assets have dropped in value and are currently assessed as 2-3 times lower than their normal market price. It is, however, the best time to consider high yield investments. But all market actors agree that two factors are pivotal to renewing investor confidence: termination of the military conflict in the East and comprehensive reforms. In light of the current turmoil, there is a demand for business reorganization, asset restructuring by high-net individuals (beneficiaries of business groups), and complete liquidation and exits. Some lawyers have received lucrative pieces of work due to trends related to the deteriorating economy, like the new wave of bankruptcies and debt restructurings, redundancies, and personnel transfer from the occupied territories. The vague legal status of Crimea has created an unprecedented situation with assets and business operations in the peninsula. Investment arbitration and sanctions advice are increasingly in demand. Moreover, the major law firms established Crimean desks, multidisciplinary practice groups, and even offices to support relevant clients. Despite the dramatic drop in the legal market’s growth rate (down an estimated 40-50%), this turbulent period serves as a stress test for law firms in the country. It has resulted in a review of business strategies to ensure pragmatic management, flexibility, business process optimization, and finally, more effective cost management. Turning to the positive, the tough competition in the challenging environment had forced firms to become innovative and handle clients with greater care. Some market players are refocusing to attract clients from outside the country – those not sensitive to currency depreciation and the volatile exchange rate. Others have developed non-conventional offerings. At the end of the day, rainmakers and good sellers are evidently the most valuable assets for professional services providers. There is no definite answer as to which market players are in a more favorable position – the international powerhouses that still receive referrals from their networks, or the domestic firms that are traditionally more flexible and responsive in decision-making. However, the tier of European firms appears to be more sensitive. 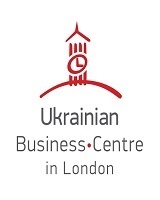 Following the capital of their clients, the German Noerr and Beiten Burkhardt law firms, and recently Austria’s Schoenherr, have left the Ukrainian market. The past year changed the legal marketplace not only from a monetary perspective. The positive outcome of the crisis is that it fuels changes in many senses. It has compelled lawyers to be actors of change in both policies and politics. The legal market quickly responded to the Government’s request for assistance, and a record number of Ukrainian lawyers have entered Parliament, the Presidential Administration, Ministries, the National Bank, and other authorities. For example, two friends of mine entered the Parliament – a development I could have hardly imagined just a year ago! Many practitioners are significantly involved in developing such long-anticipated reforms in various spheres. 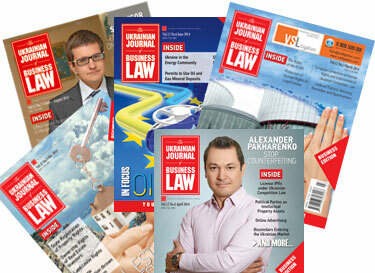 Ongoing deregulation and a diverse reform agenda anchored by the EU-Ukraine Association Agreement may bring new opportunities to lawyers as well as clients. 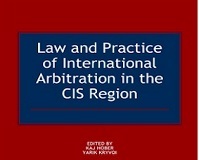 The initiated judicial reform may replenish the dispute resolution practice landscape, as international law firms have traditionally chosen to limit their presence in domestic litigation due to the element of brazen bribery. Recent anti-corruption initiatives continue to entail demand for anti-corruption programs and compliance. Finally, improvement in the investment climate may reload inbound capital flows. And so high- profile transactional work and new market players are just around the corner. As the legal community is destined to be a driving force of these changes, I believe that Ukraine is just gaining momentum.